We love hearing from you! Your questions and comments inspire new and better information on our website and help us develop new products that will benefit everyone. So, thanks for getting in touch. Enter your contact information below along with your question or comment and we'll get back to you. Hi! 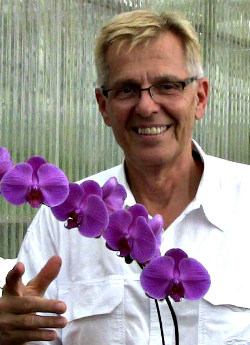 I'm Jeree Harms, The Hydroponics Guy, and I'll do my best to help you with your orchids.